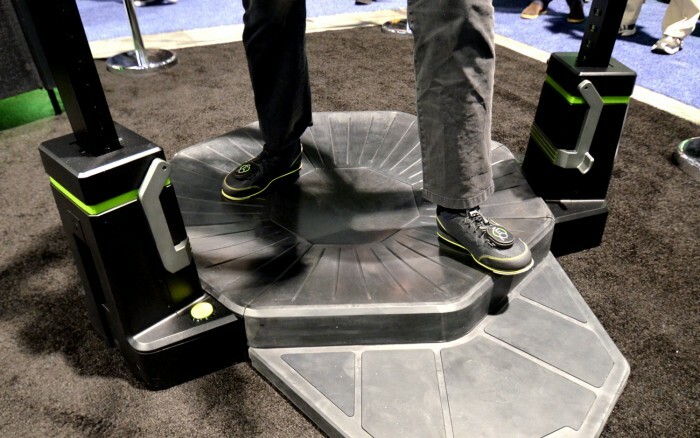 As developers continue to experiment with a range of VR navigation techniques, Virtuix’s Omni treadmill gives gamers a way to physically walk and run around virtual worlds in an otherwise limited space. 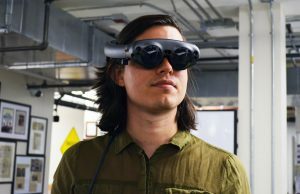 The company’s latest developments bring compatibility with the HTC Vive and its Lighthouse tracking tech, enabling ‘decoupled’ manipulation of walking, looking, and aiming. I’ve been lucky enough to try the Virtuix Omni treadmill at several stages along its development, but I’ve yet to be able to experience the holy grail of a fully decoupled experience that’s now enabled with the HTC Vive. In my prior engagements with Omni prototypes, the direction you looked was also the direction you ran. That means you couldn’t run forward while looking to the left or right, for instance. The gun prop was also just a glorified controller, as the weapon was untracked and your reticle was attached to the center of your view. 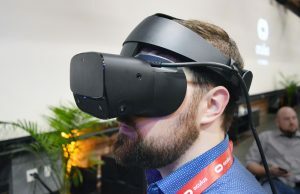 Now as the company readies the first shipments of the Omni, they’re showing off what’s been their ultimate vision for the VR treadmill all along: fully decoupled motion. 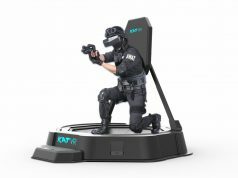 Utilizing the HTC Vive with its 360 degree Lighthouse tracking, that means independent control over walking, looking, and aiming. Now if you wanted to, say, run backwards while looking to the side with your arms outstretched in either direction, you totally can. And that means it’s time for me to start begging people to make an Equilibrium (2002) game so that I can pretend I’m doing this. Virtuix is also showing off a new version of their in-house title TRAVR Training Ops, which is built from the ground up for the Omni’s fully decoupled locomotion. The game is set up like a time trials arena, leader board and all. As you dash through each room, targets pop up all around you which you can shoot with either of your dual pistols, and there’s even some threats to dodge. When you run faster in the Omni, you actually move faster in the game, which means that topping the leaderboards is going to be as much about fitness as it is about aiming. Speedrunning is about to take on a whole new meaning. 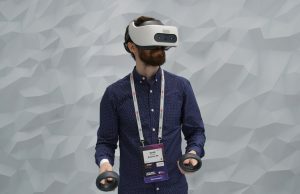 And therein lies something that’s had me excited about VR from the very beginning: aligning the emotional action of gaming with corresponding psychical action. 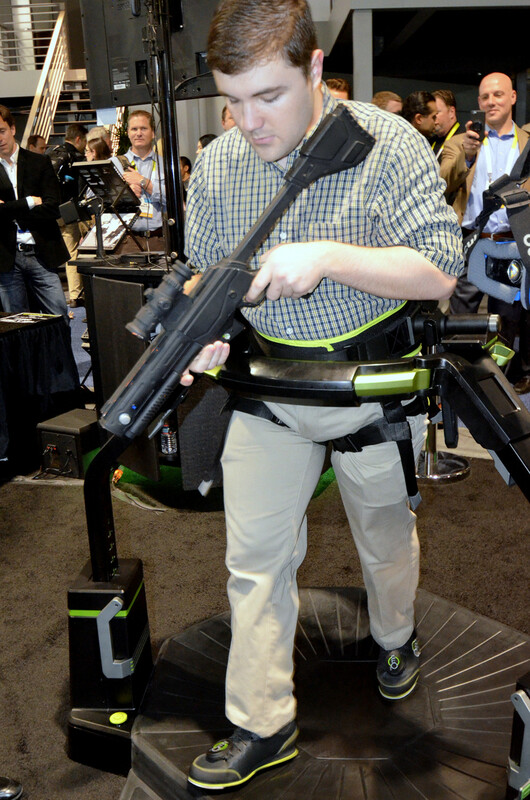 Virtuix calls this sort of full body gameplay ‘Active VR’. I always go back to an example that I know well, the last moments of an epic game of Capture the Flag (for me, that would be in Halo, but pick your favorite game and imagine along with me). It’s 2-2 in a match to three. Each team has the opposing team’s flag and now it’s a race to see who can capture it first for the win. The adrenaline is pumping and everyone is on the edge of their seat, playing their best to try to secure victory. But in contemporary gaming, all of this intense action is happening in your head and on the screen, but physically speaking, you’re twiddling your thumbs. How much more amazing would it be to be physically running that flag, knowing that the harder you run the faster you’ll get that flag back to base. Giving every last ounce of your effort—emotional and physical—for the sake of your team. People who play sports at a competitive level know this duality of emotion and physicality well—for many, it’s what drives them to play sports in the first place. 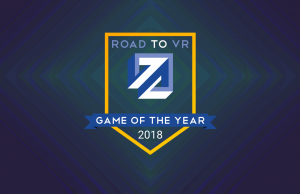 Soon the doors will be open for it to be part of gaming too. 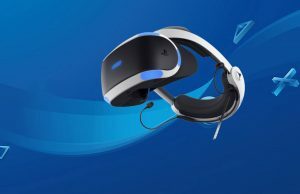 Not only is having your whole body involved in the action more natural, it’s also more immersive and could very well reverse the cliché of the unfit gamer. 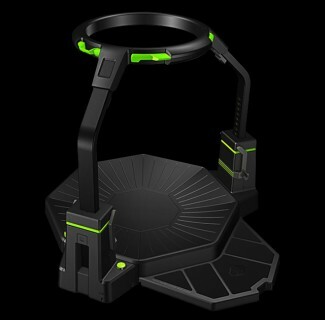 For Virtuix’s part, the Omni is finally approaching the light at the end of a tunnel which started way back during the company’s 2013 Kickstarter which raised more than $1 million to get the VR treadmill into production. Now the very first units are set to ship starting in December, with a wider rollout in 2016. In the mean time the Omni is available for pre-order for $699. I’m excited to see physicality come into play in the digital space as well. For me though it’ll take some time for me to buy into it until I can properly determine whether or not it’s mature enough for my likings. 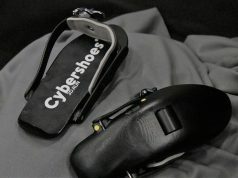 Taking the CTF example, I would want to be able to trust that everyone was actually just running as fast as they were moving and that I wasn’t putting in everything I had just to keep up with someone that was pressing a keyboard button or tweaked their rig to give them faster movement. I’d say that proper foot tracking is pretty essential for this. If someone’s feet aren’t lining up with their motion you know something is up. In the end though, the digital space is a lot harder to trust because we naturally look to make things easier on us physically so I imagine cheating becoming very common thread. Outside of proper tournaments, I have a hard time imagining competitive online multiplayer ever becoming a trusted outlet. I think that when you play a FPS online game and you’re driven by kill counts, you generally give up alot of immersion just for the sake of a competitive edge. I can’t see why anyone would choose to use something like the Omni when they cared about kill counts, given that people will give up just about every kind of visual and game play nicety just to get lower latency, greater precision, or some other kind of edge. You’d use the Omni for single player games and/or in game modes where you care more about the immersion than your kill count. 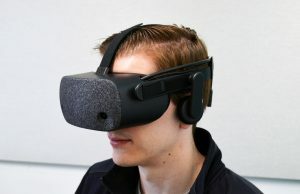 Having used the Rift to play Team Fortress 2 with decoupled gun/aim and look/gaze setup, I’d have to disagree. You do have an advantage in certain areas. One example would be you’re in a room looking at the corner. The corner has a door on each adjacent wall. On a monitor you have to swing the view back and forth constantly to not get snuck up on. In VR, you can point your gun at the main door, while actually looking at the secondary door and still see both with your peripheral vision. Anyone comes through the main door you blast them, if you see someone come through secondary, you just point and shoot cause you’re already tracked on the target. If they modded it with dual-wield guns you could cover both sides of you at once for even more advantage. Mouse and keyboard users will still have advantages in important ways. It will be interesting how it all plays out. With the right amount of advantageous omni mods, both could perhaps be equal. A script could be written to verify that you were playing in a room solely populated by players using an Omni. It would be a parallel game mode with it’s own measures for success. They would still care for bragging rights. The hardware ID is a good idea, with a universal database of known hardware IDs from cheaters which game servers can reference. Perhaps they could embed a unique ID at the hardware level to ensure that only the most dedicated hackers could even temporarily spoof the hardware to cheat without being immediately caught? It does seem like competitive multiplayer games would be a pinnacle for something so physical as the Omni. 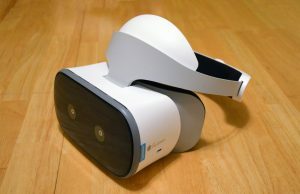 I think room-scale VR will be far more prevalent than free-range VR facilitated by solutions like the Omni. Even so, I’m hoping that the interface for Omni is implemented as though it were as simple as a plug ‘n play keyboard and mouse. 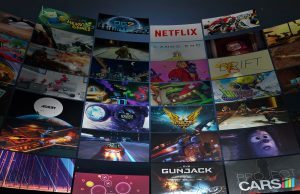 That way, game and graphics engines could implement a general interface for it once, and all apps written to those engines would immediately be compatible with that general interface without any special coding, just provisions for an Omni-like device in the case one is there. Such a general interface would grant free-range as a nice plug ‘n play option to all VR, games and otherwise. Virtually walking on a beach, through a museum, or running through a forest would simply be a matter of adding an Omni to the mix. Doesn’t it seem impossible for most consumers to play even a game like capture the flag in room scale? You’d essentially require a warehouse. Is this just showing off decoupled mode on Vive, or are they saying that this is only possible on the Vive and not the Rift? If that’s the case, I don’t understand why not. 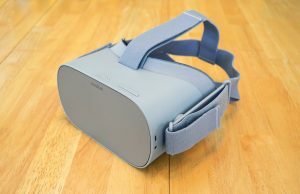 You can technically do this in the Rift as well. 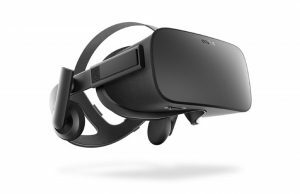 You would need the touch controllers and most likely an additional camera and /or consumer Rift with LED’s on the back of the headset. 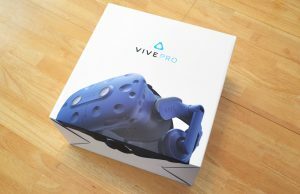 I think the reason that they are showing the Vive is because they currently have access to it. 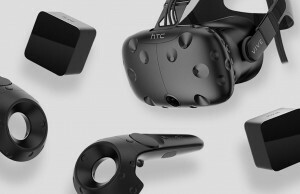 There are more Vive’s and controllers out in the wild than there are Oculus Rifts with Touch controllers. 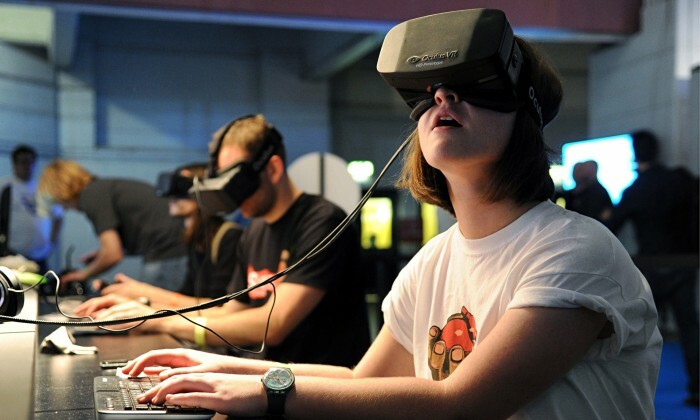 It’s amazing to see the first wave of Virtual Reality hardware maturing like this. 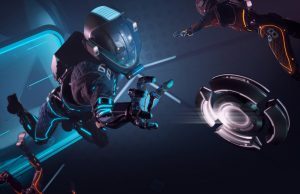 Pairing a decoupled Omni with the Vive system gives you dual-wielding and unlimited free-roaming. This surpasses what has been possible in videogames to date. 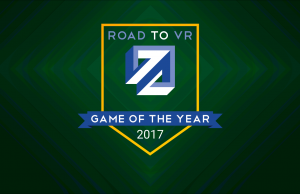 It’s a new pinnacle not just for VR, but for videogames too! 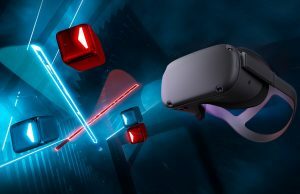 I’m of course looking forward to this same integration happening with the Oculus Touch controllers when they’re released.